Disclaimer: Jennifer's Deals was sent product(s) in exchange for this review post. No monetary gain was received. 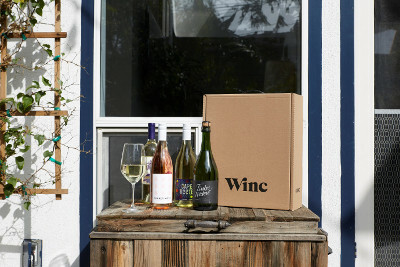 Winc is not your traditional wine club: Winc is a direct-distribution global wine company that personalizes the entire wine experience. I was able to pick four different bottles of wine to review. This was the first time I have ever ordered wine from anywhere so I didn't even know where to begin! Winc is designed to pick the perfect wine for you based on the Palate Profile quiz. This helped me out a lot. The Palate Profile quiz recommends wine based on your unique tastes. It takes the hassle and guesswork out of picking a bottle from your local liquor store and delivers the perfect bottles directly to your doorstep. After trying all four bottles (not at the same time), I figured out that I like white wine better than red wine. My favorite wine was the 2017 Funk Zone White Blend. Shipping was fast and the wine bottles arrived in perfect condition. Winc uses the Palate Profile quiz to help improve the experience for consumers, create a platform for artisanal winemaking, and build a grape-to- glass supply chain that sustainable for the planet. No more intimidating language and steep price points, and more joy in the act of sharing a bottle.